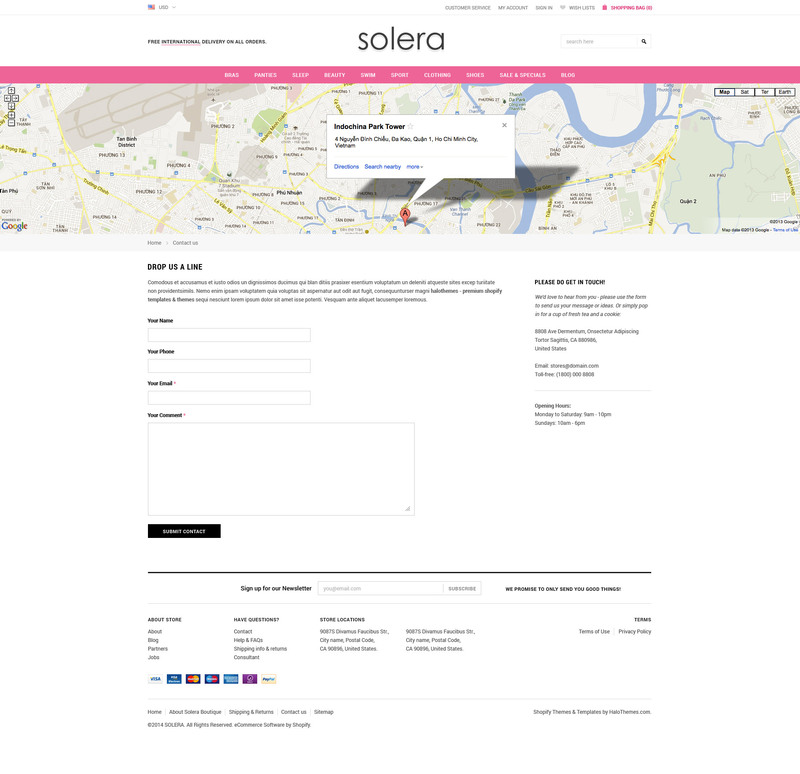 Solera Shopify Template – is designed with an impressive style, in which there are large images and banners, especially the slide show to help introduce information about the products, as well as promote your best programs or events to the customers. 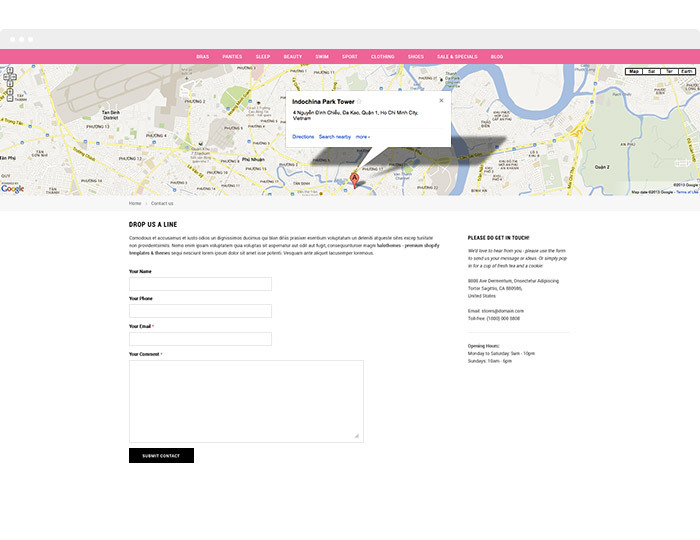 The clean and clear layout will give your customers a very good view at the products and their information. Also, our theme variation Shopify Modules: Mega Menu (Mobile Optimized), Ajax Add to Cart, Advanced Image Swap with Variant Colors, Product Label, Ajax Layered Navigation (Product Filtering) by Tags, Popup Newsletter and special Theme Settings, which are available from a wide range of colors, textures and backgrounds, allow you to customize the website appearance at any point you want. 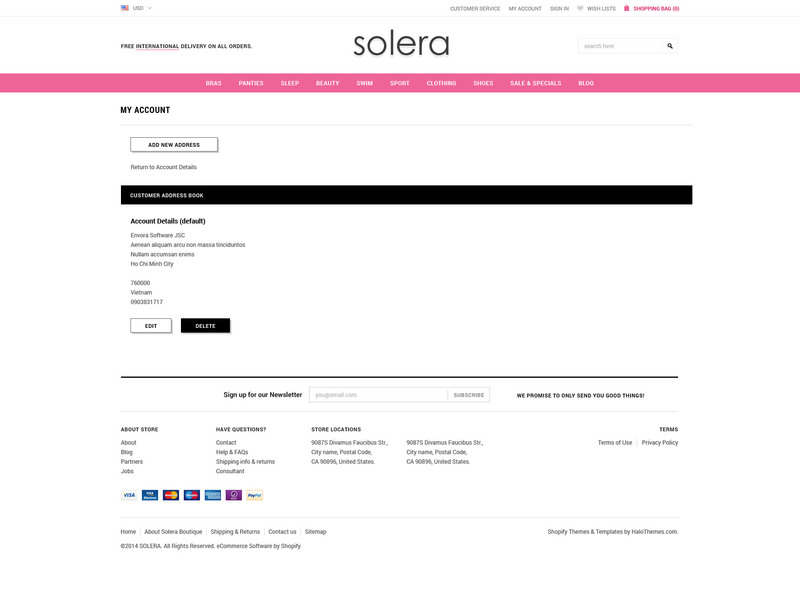 In Solera, the homepage is provided with lots of static blocks which helps you promote your best products and hottest programs. The content blocks promise to attract and impress your customers at their very first sight. 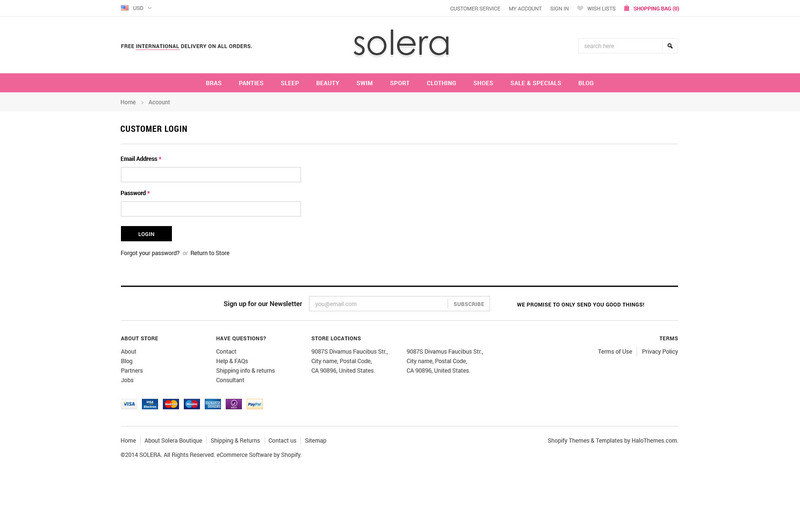 On the other hand, with drop-down shopping cart, your customers will opt to pay whenever they want. 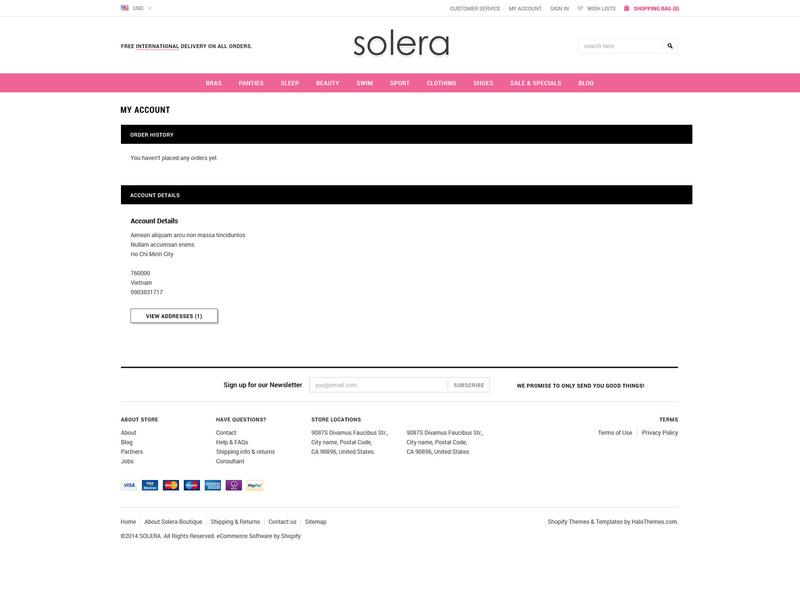 Especially, with the effectively support of products slider, customers can still browse other products. 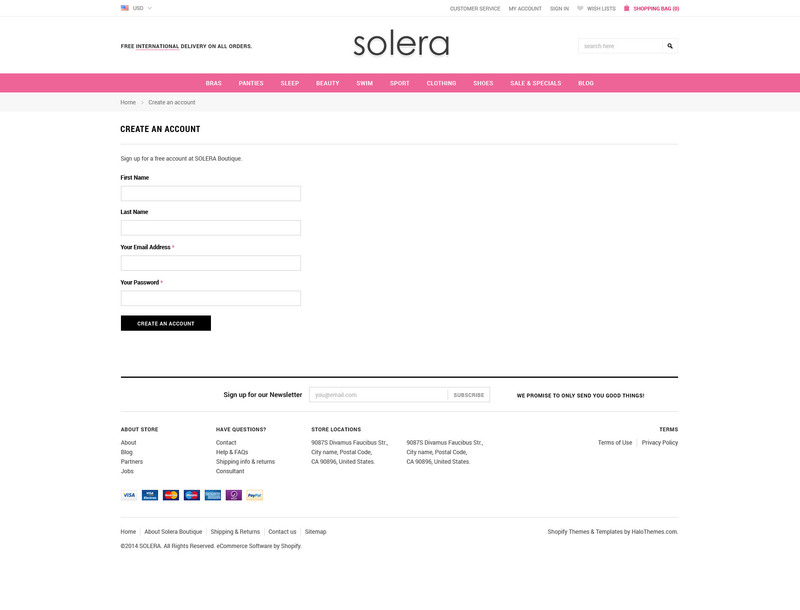 With all we bring you here, we can say for sure that Solera – Responsive Lingerie Shopify Template is the perfect choice for your lingerie online store. 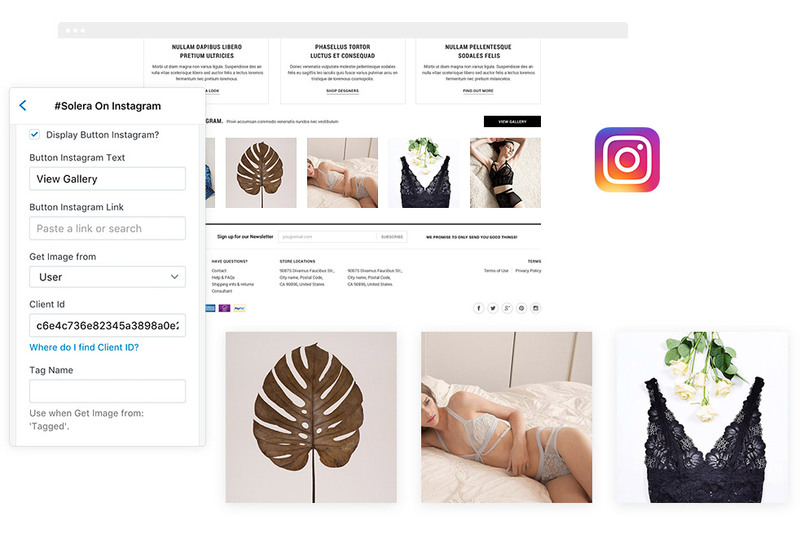 In case you are in love with the theme and your products are not lingerie, we are glad to let you know that it can be used for various online stores such as Jewelry & Accessories Store, Bags & Handbags Store, Women’s Clothing Store, Cosmetic & Fragrances Store…Just experience the theme, and feel its best features. 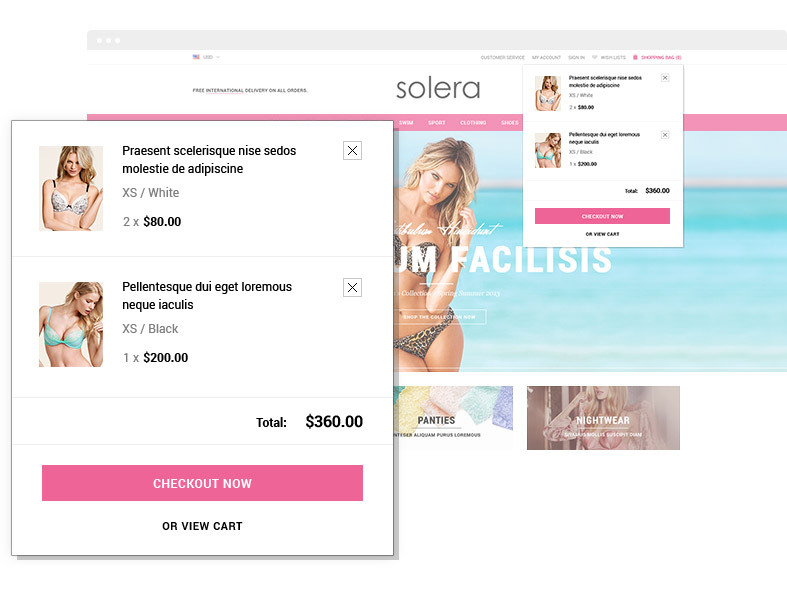 Shopify Sections let you empower merchants by giving them greater flexibility when customizing their online store. 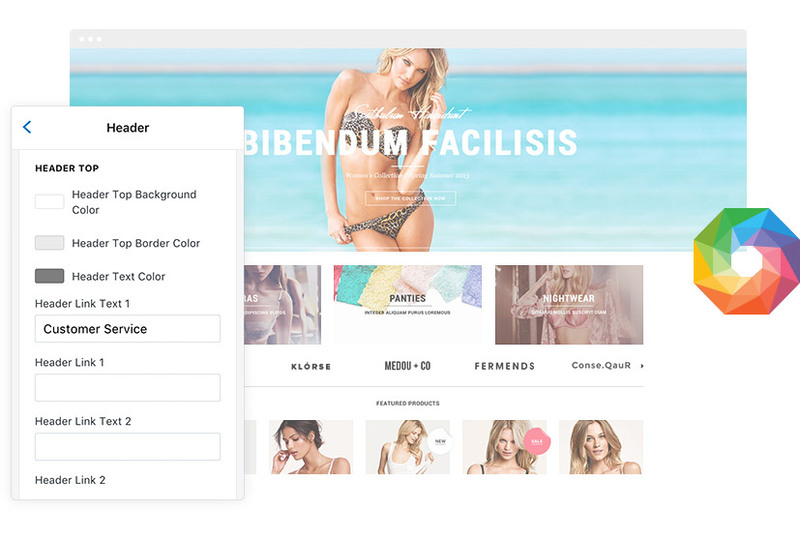 This new feature allows them to easily add or move content on their homepage with just a few clicks. 03 April 2017: Some small bugs fixed.